Have you ever wanted to customise your beloved timepiece? Well, now you have the chance to make it something truly special. A DLC coating will offer durability, beauty and an exquisite finish to your watch. Diamond-like carbon, or DLC, is amorphous carbon plasma – a material that exhibits astounding properties. For years, it has been benefiting a variety of industries including aerospace, military, medical and automotive. Possessing the most desirable physical characteristics of diamond – hardness and durability – and with a sleek beauty, DLC can be regarded as diamond without its crystalline structure. It is applied in a plasma form, and can be used to coat and enhance virtually any metal, providing a unique and flawless finish of the highest standard. First, you will need to send your watch direct to our watchmakers. We recommend that you use Royal Mail special delivery, or you can even hand deliver it if you wish. Royal Mail will ensure your watch and guarantee next day delivery. This method is totally safe and we have never had a package go missing to date. Once your watch arrives, it is booked in, and you will be contacted to confirm receipt. All watches are highly secure and fully insured. Your watch is first inspected and then disassembled. We will inspect the watch and case for any damage, and will proceed after a consultation with the customer. 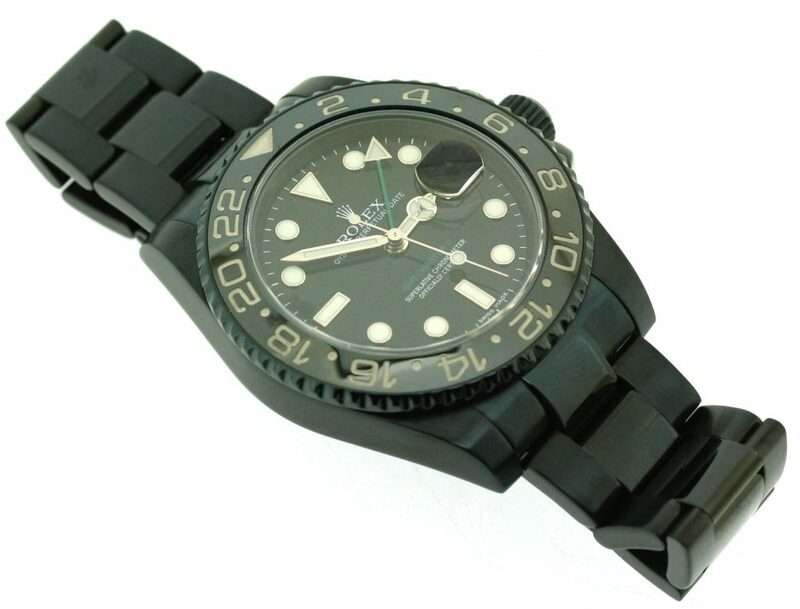 Our watchmaker is fully qualified and an authorised service agent for Rolex, Omega and Tag Heuer. The DLC coating process will take a few days, however, the important steps are to assemble your watch and its movement. The whole process will take from 2 -3 weeks in total and we will contact you as soon as we are ready to send it back.